Former Chairman of the Board of Trustees of the Peoples Democratic Party, Chief Tony Anenih, has claimed that ex-President Goodluck Jonathan ordered a former National Security Adviser, Col. Sambo Dasuki (retd. ), to give him the sum of N260m. The revelation is contained in a letter the former BOT chairman wrote to the Economic and Financial Crimes Commission recently. An aide to the PDP leader, who spoke on the condition of anonymity, confirmed to SUNDAY PUNCH on Saturday that Anenih made the disclosure. The aide said, “The former BoT Chair explained to the EFCC that he gave his account details to the ex-President on request, when he requested for a refund of expenses incurred while (he was) carrying out Jonathan’s instructions. Jonathan passed it (account details) to Sambo and Anenih was paid the sum of N260m. Anenih reportedly wrote in the letter that he also incurred additional costs when he led other members of the PDP BoT on a nationwide tour to reconcile aggrieved and feuding members, following instructions given to him by the former president. He noted that the money he spent on hiring private jets and other logistics was yet to be refunded to him. The aide added, “Although most of the expenditure was incurred on the instructions of the former president for special political assignments, only N260m was refunded to Anenih by the former president. “Whereas the refund of N260m was made through the office of the National Security Adviser, Anenih explained in his letter to the EFCC that he only provided his account details to the former president on request for a refund of the money spent. 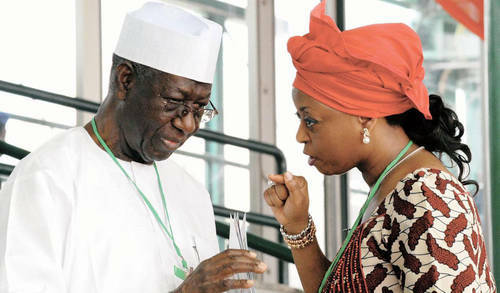 The aide said Anenih had yet to be refunded over N180m out of the N440m he spent. The PDP chieftain also reportedly argued in the letter that he was not a direct beneficiary of the sum of N260m that was a part refund of the money he spent on the president’s instructions. The former PDP BoT chairman had earlier stated that he gave N100m each to the National Chairman of the Social Democratic Party, Chief Olu Falae, and the leader of Accord Party, Senator Rashidi Ladoja, for mobilisation purposes. Yakassai, Falae and Ladoja have all confirmed that they received the stated amounts from Anenih.